Giveaway! Win ICE ROAD TRUCKERS S3 on DVD! 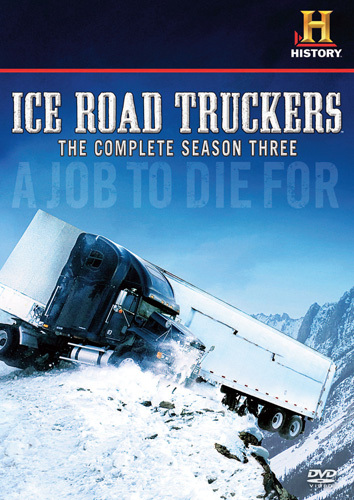 One of the very few shows that my dad, my best friend, and I can all agree on is ICE ROAD TRUCKERS, and so I’m extremely excited to announce a giveaway of Season 3 on DVD. Just when you thought trucking couldn’t get more dangerous–the new season of ICE ROAD TRUCKERS brings you to the most treacherous landscape on earth: northern Alaska. In Prudhoe Bay (250 miles north of the Arctic Circle), a network of ice roads in the tundra crisscross river systems and open ocean to connect America’s booming North Slope oil fields to dry land. Every winter truckers have less than three months to shuttle critical supplies over the ice. The only problem is that there’s just one way to get to this remote location: 400 miles of ice-covered, mountainous terrain known as the Dalton Highway. The Dalton is the lifeline to Alaska’s oil industry. It’s also the most dangerous road in North America and has claimed the lives of more than 400 people since it was built just 30 years ago. The next chapter in the hit HISTORY series returns this season with veteran drivers Hugh Rowland and Alex Debogorski, new drivers — including the show’s first female trucker — and more heart-stopping adrenaline than ever before. 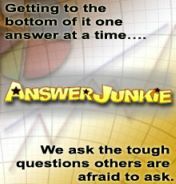 All you have to do to enter is tell us your favorite thing about the show. While you’re thinking about it, check out the newest Facebook Application in support of the show! I like that the show is not contrived but includes plenty of action. The show itself is exciting and I’m a sucker for anything that has to do with natural disasters or natural obstacles, but what really adds is my father in law as the background commentary, as he used to be a trucker back in the day! The show makes me nervous to watch but I love it! I love the show because it has big trucks doing dangerous things! I hope this is still open. My favorite thing about the show is that it’s about normal people who have a dangerous job. It’s a reality show but it’s not about celebrities or singer and dancer wannabes. It’s true reality! My husband loves the show, I think because he likes to imagine himself doing something so dangerous and brave (ha!). I’d love to win this and give it to him as a gift. Thanks! Thank you, I’m so excited! I just sent you my address! love to watch the history channel and all the shows that are on it.best is ice truckers, my favorite.